Craig and Stacy came to Life Church in 2002 with four young children, and hearts to see this area tangibly know the love of Jesus. In the years that followed, one more child was added, and their five children have grown into young adults and teens, who, by God’s grace are passionate for Jesus too! They’ve been blessed to see many others come to faith in Jesus, baptized, and continue their faith journey. It is a hard thing to see people turn away from the incredible gift of God. That really is the heart of these two…to see the next generation fully alive in Christ and equipped to live out this truth with life giving impact! Their ideas of quality time can look drastically different: invite Stacy for tea, and call Craig if you’re working at something. They both love to learn, and delight in discovering over and over the truth of God through Scripture, prayer, and prompting of the Holy Spirit. Jason and Amanda have been a part of Life Church since the end of 2011. They have 2 young children that they love spending time with. They are passionate about sharing God’s love in Uxbridge, Claremont and the neighbouring communities. They connect with the community through their jobs where Jason is a teacher and Amanda is an educational assistant. 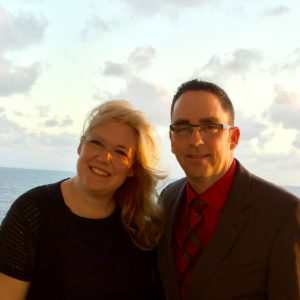 Both Jason and Amanda are involved in a variety of ministries at Life Church. 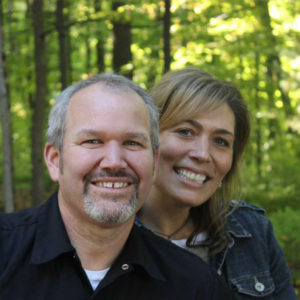 Jason is involved with church finances and oversees the Children’s’ ministry and Amanda co-leads the worship team. They’ve experienced many miracles in their lives and love the opportunities they get to share about God’s faithfulness. Dawn has a big heart! She wants everyone to know the incredible love of Jesus, and moves in a gentle, but firm, grace. You couldn’t ask for a better friend, and she has been influential as a ‘mom’ to many in Life Church. Dawn fits her name; she brings light into every situation by listening well and speaking truth in love. 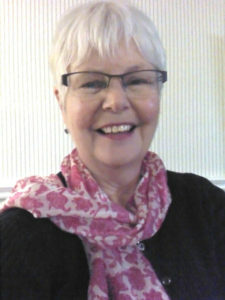 Her life shifted dramatically in December 2013, when her husband, Pat, died suddenly. Pat was generous and wise, and the two of them were lifelong sweethearts. We are so glad to have Dawn as a part of the Eldership of Life Church, her integrity of faith, passion to pray, love for people and willingness to serve are evident and essential to our family of faith. Life Church is a vibrant, Spirit-led family, impacting generations with the good news of Jesus and His Kingdom. We are passionate to see everyone equipped to serve, living out the truth of Jesus effectively in every area of our lives; from the communities we live in, to the furthest places God leads us. God’s glory … our story … Life to the full. Our church isn’t a building. We are the church – us as a whole, walking through life together with our eyes set on Jesus. We want to do more than know each other’s names and shake each other’s hands. We want to get to know each other, grow together, work together, through the good times, and through the not-so-good times. Just as the church is not a building but the people, we are not restricted to the four walls of the Life Centre but are continually out in the community. Whether we are helping out at the Claremont Winter Carnival or taking part in Claremont Public School’s “Springfest”, Life Church is an active member in the community. We are called to be more than just observers in God’s kingdom. He wants us to play an active role. At Life Church we want to equip everybody for growth—in their own lives and in other’s—with spiritual tools and support. We’re paving a path for the future. Not just our own future, but the future of those who come after us. By leading, equipping, encouraging, and spending time with the next generation we’re preparing them to go farther than we’ve gone ourselves! A life to the full leaves no room for the mundane! We love going on adventures, playing games, telling stories and laughing… a lot. We always make time for fun and invite you to come along for the ride.